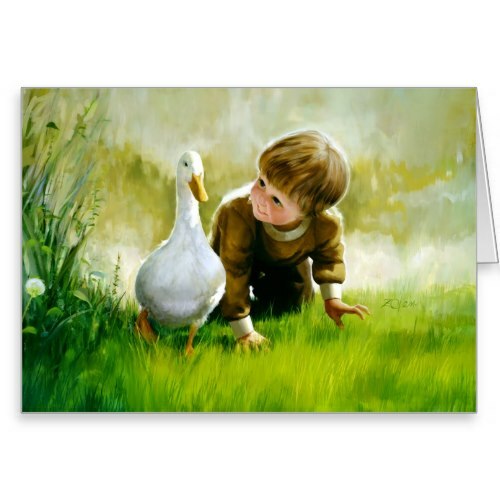 A cute, adorable, lovely oil painting by Donald Zolan, titled "Just Ducky", featuring a cutie pie smiling boy next to a duck, trying to copy the duck's waddle.. trying to walk like a duck. Cute, wonderful art, featured here on a custom, personalized greeting card. Makes a great mail to kids, grand parents, animal lovers, for birthday, holidays, christmas, and more.